But don’t you despair, if you can’t read German and don’t have the time to learn how to. We are still negotiating whether there will be an English version of the book or not. We will keep you updated. So, if you want to order one (or more) book you can do so via Amazon, directly from the publisher or many other sources. E-books are still in the pipeline but will be available via most stores, too. If you’re not sure if you want to buy one, the publisher has some samples on the website. * The headline means “Book! Book! I’m going crazy!” in Austrian. It’s a reference to a commentary to the soccer game Germany-vs-Austria Córdoba 1978 (just replace Book with Tor, which means Goal) which is even famous outside of the soccer fanbase. In fact I don’t like soccer at all but I thought it would be a nice headline. 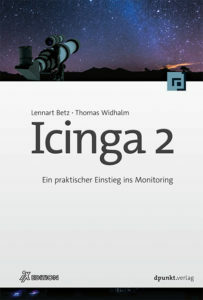 Learned nagios from Wolfgang Barth’s books, would love to see something similar for icinga2 in English. 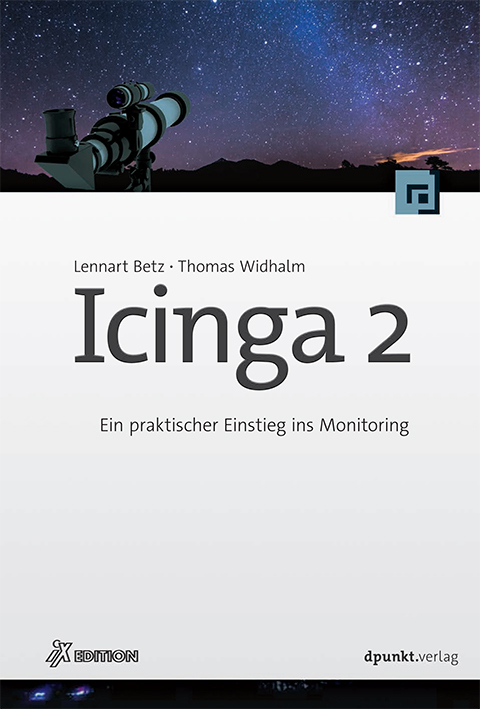 Although the icinga2 docs are extensive, a different voice would be helpful. Any news about an english translation? That would be great! Update on possible English translation?